Lauren joined Ellenbecker Investment Group in May of 2014. Her ability to multi-task, in addition to strong organizational skills and a forward-thinking nature, make her a valuable asset to the fluid, fast-paced EIG marketing department. Lauren will coordinate the firm’s social media initiatives, as well as client/public events, advertising, sponsorships, and Website content. 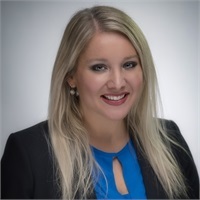 She spent three years at the University of Wisconsin-Madison before transferring to Florida Gulf Coast University in Ft. Myers, where she recently graduated with a Marketing degree. Her love for people, event planning, and social media has formerly put in her in charge of many fundraising and team activities. Lauren was born and raised in the Waukesha area, which made for an easy transition to the EIG team. Growing up in Wisconsin has made her a passionate Packers, Badgers, and Brewers fan. In her free time, you can find her enjoying the outdoors or sitting down for a night of pizza and movies.